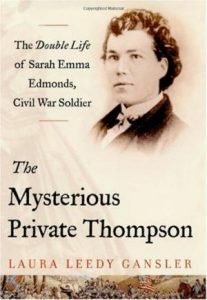 The author of the book, Laura Leedy Gansler follows Emma all the way to her life in Kansas where she applied for her military pension, wrote about her escapades, and surprised her fellow soldiers-in-arms when they discovered the courier and hospital attendant they knew during Civil War days was really a woman. 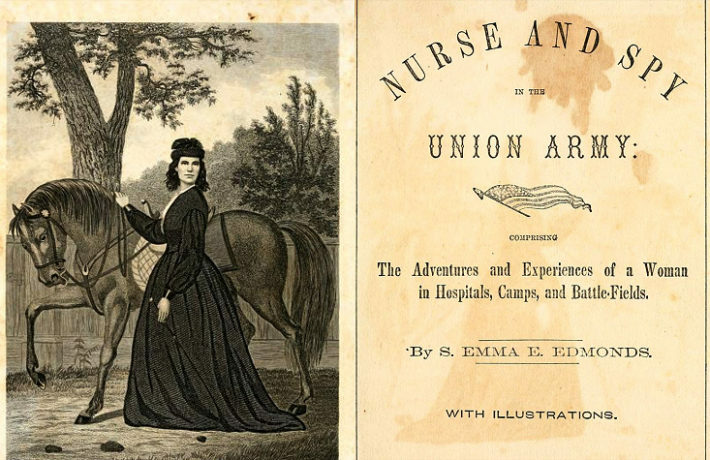 Even after Emma became a married woman with children, she wore pants around town, rode her horse astride, and was known as an eccentric who did not care what her neighbors thought of her. Mrs. S.E.E. Seelye of Fort Scott, Kansas had never been one to worry about wagging tongues.